Prime Minister Narendra Modi released a commemorative coin and stamp on Guru Gobind Singh to mark the 350th birth anniversary. Rs 350 commemorative Coin with the standard weight of 35 gram will have 50 per cent silver, 40 per cent copper and 5 per cent each of nickel and zinc. The years ‘1666’ and ‘2017’ in international numerals will be on the left and right periphery of the coin. Guru Gobind Singh was the tenth and last of the human Gurus of Sikhism. The Pravasi Bhartiya Divas (PBD) will be held at Varanasi on January 21 with the theme “Role of Indian Diaspora in building a New India” and would be formally inaugurated by Prime Minister Narendra Modi on January 22. The chief guest for this year’s PBD is Pravind Jugnauth, Prime Minister of Mauritius. India celebrates Pravasi Bhartiya Divas on 9 January to mark the contribution of the overseas Indian community towards the development of India. The government of Odisha has launched the scheme Ama Ghare LED to provide LED bulbs at free of cost to about 95 lakh families in the state The beneficiaries of the scheme are those who have registered under the National Food Security Act (NFSA) and the State Food Security Scheme (SFSC). The implementing agency for the scheme is Odisha Power Transmission Corporation Ltd (OPTCL). It is estimated that Odisha would require about 3.8 crore LED bulbs. The Atal Tinkering Lab Handbook Nayee Dishayen, Naye Nirman, Naya Bharat was released by the NITI Aayog’s Atal Innovation Mission. The handbook showcases the outcome and impact that is being created by the Atal Tinkering Labs. Atal Innovation Mission (AIM) is the Government of India’s flagship initiative to promote a culture of innovation and entrepreneurship in the country. India celebrates National Youth Day on January 12 to commemorate the birth anniversary of Swami Vivekananda, the man who brought a change in the thought process of the Indian youth. Swami Vivekananda was born in 1863. He was a renowned philosopher, poet, writer, social reformer and orator. His works include Jnanayoga’, ‘Bhaktiyoga’, ‘Rajayoga’, ‘To the youth of India’. He also founded the Ramakrishna Math. The Chief Minister of Sikkim Pawan Kumar Chamling has announced the one family one job scheme to provide employment to the youth of Sikkim. The Chief Minister handed over appointment letters to over 12,000 unemployed youths at an employment fair organised at the Paljor Stadium in Gangtok. Only members of those families which do not have a government job at present are eligible for government employment under the scheme. Sikkim is the first state in the country to launch an exclusive programme which entitles every family in the state with a government job. The Parliament of Macedonia has passed the resolution to amend the constitution of the country to rename it as the Republic of Northern Macedonia. The renaming is in line with a landmark agreement with Greece to end a decades-long dispute. The dispute was mainly due to the ambiguity in nomenclature between the Republic of Macedonia, the adjacent Greek region of Macedonia and the ancient Greek kingdom of Macedonia. After a lot of negotiations, an agreement was reached between Greek Prime Minister Alexis Tsipras and his Macedonian counterpart Zoran Zaev. The agreement is famously referred to as the Prespa Agreement. The Minister of State (I/C) for Youth Affairs and Sports Col Rajyavardhan Rathore (Retd) launched the National Youth Parliament Festival 2019 as part of the National Youth Day celebrations. The theme of the National Youth Parliament festival is “Be the Voice of New India” and “Find solutions and contribute to policy”. Through District Youth Parliaments, the festival would be taken to the doorstep of the youth. This is to ensure a large number of Youth participate in the initiative. Gujarat Chief Minister Vijay Rupani announced on January 13, 2019 that his government will implement the 10 per cent reservation for economically weaker sections of the general category with immediate effect. The decision comes just a day after President Ram Nath Kovind gave his assent to the Constitutional amendment to provide the 10 per cent reservations to the upper castes. A person whose family has a gross annual income below Rs 8 lakh will be identified as EWS for the benefit of reservation. The sacked CBI Chief, Alok Verma on January 11, 2019 announced his resignation from service, refusing to take charge of the new role as DG, Fire Services. The move comes a day after a high-powered selection committee headed by Prime Minister Narendra Modi removed him from the post of CBI Director in a 2:1 vote, less than 48 hours after he was reinstated to the position by the Supreme Court after he was sent on forced leave by the government. Indian national cricket team’s captain Virat Kohli and coach Ravi Shastri on January 11, 2019 received the honorary membership of the Sydney Cricket Ground (SCG) for their contribution to the sport of cricket. The only other international cricketers to be granted the honorary membership of the SCG, apart from Kohli and Shastri, include the iconic Sachin Tendulkar and Brian Lara of West Indies. 1. 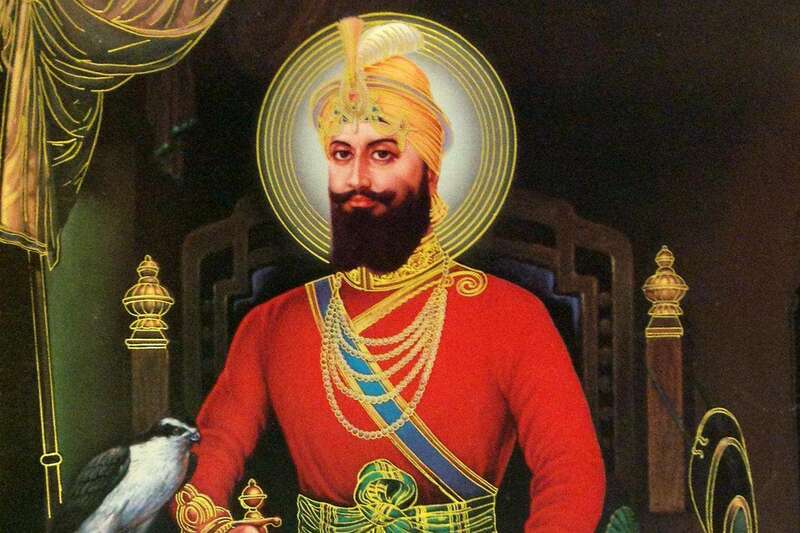 What is the value of the commemorative coin on Guru Gobind Singh? 2. On which day Pravasi Bhartiya Divas (PBD) is celebrated in India? 3. Which state launched the Ama Ghare LED scheme to provide LED bulbs at free of cost? 4. Who released the Atal Tinkering Lab Handbook Nayee Dishayen, Naye Nirman, Naya Bharat? 5. Whose birth anniversary is celebrated as the National Youth Day in India? 6. Which state announced one family one job scheme? 7. Which among the following pair of countries signed the Prespa Agreement? 8. Who launched the National Youth Parliament Festival 2019 as part of the National Youth Day celebrations? 9. Which is the first state to implement 10% reservation to economically weaker sections of the general category? 10. Who among the following has not yet received honorary membership of the Sydney Cricket Ground (SCG) for their contribution to the sport of cricket?